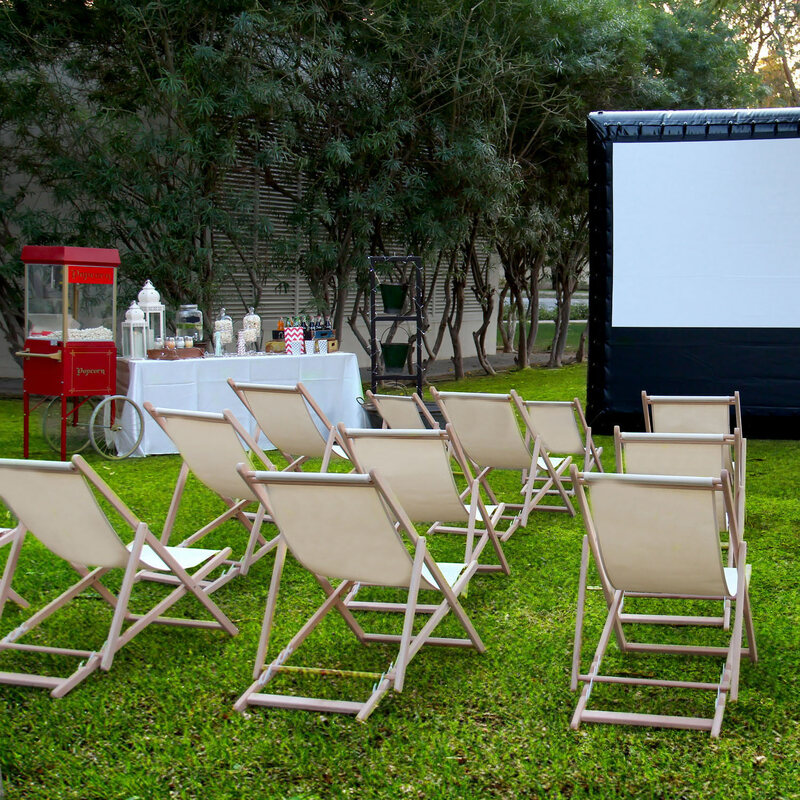 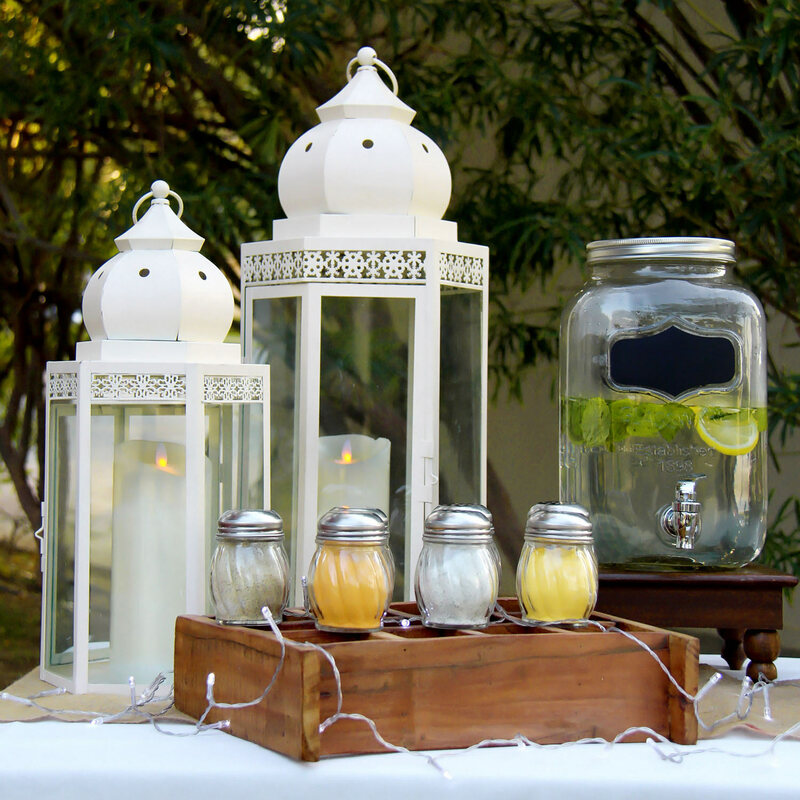 Our Cinema Nights Collection is a fully themed and ready solution for a backyard movie night. 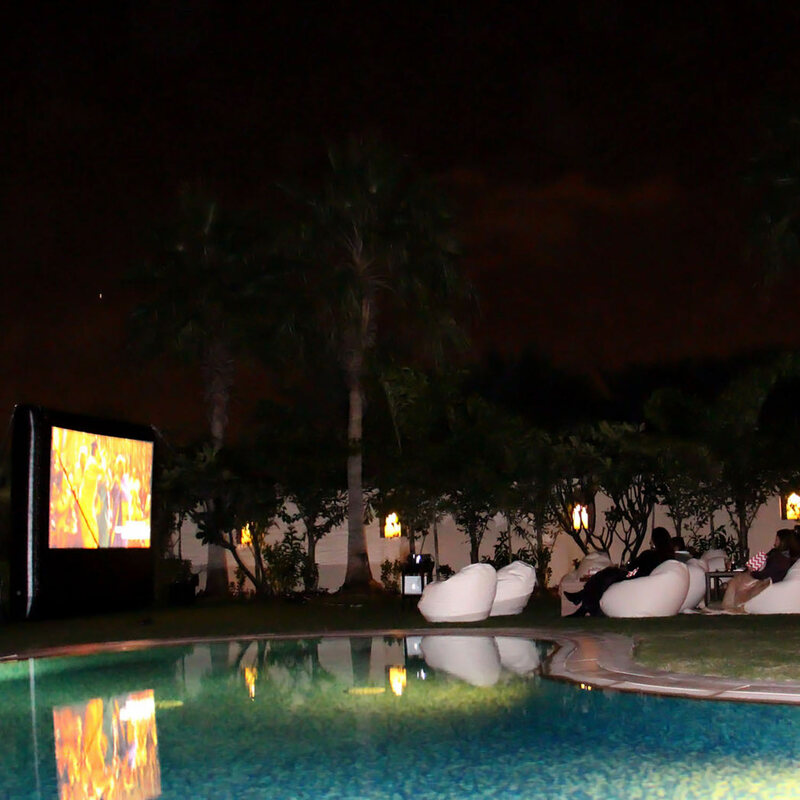 Invite friends over and enjoy a movie of your choice under the stars and in the comfort of your own home. 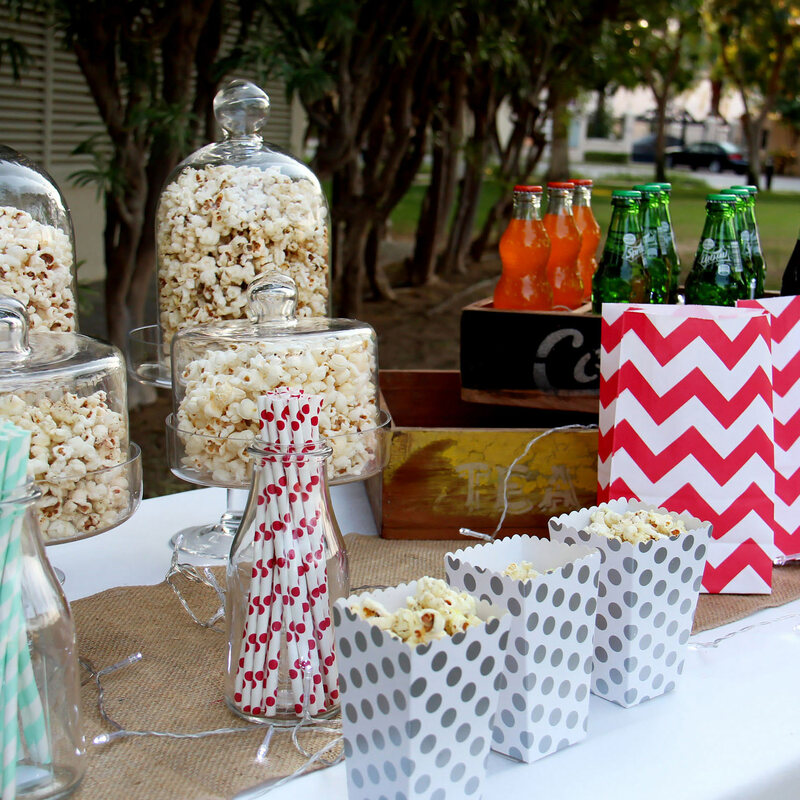 Plan your children's' party at home with little or no fuss. 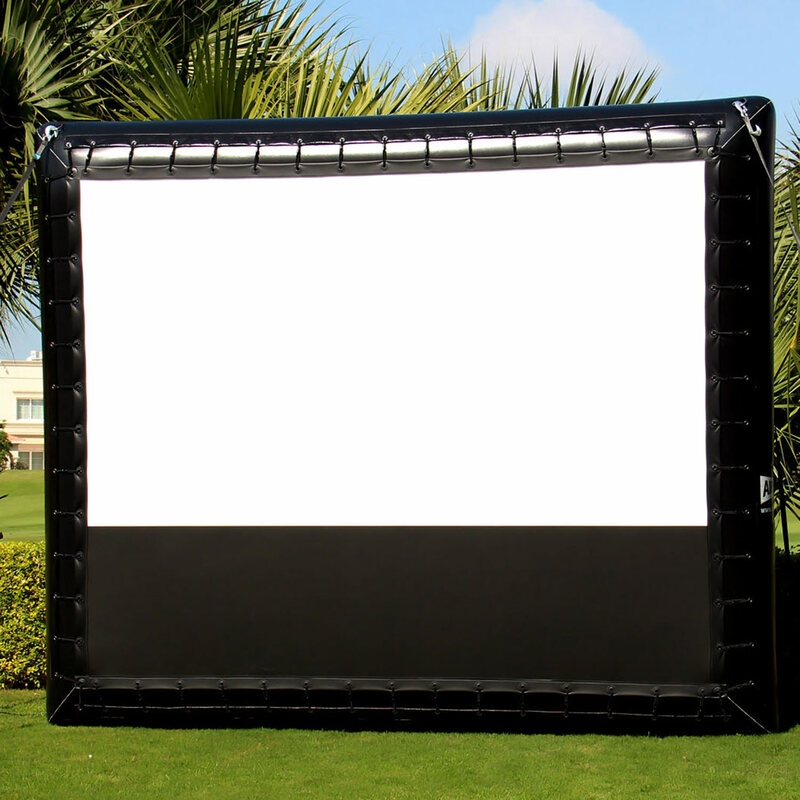 This package for 8 people includes the full cinema setup: Screen, Blueray/Laptop, Speaker, Projector, Delivery/Pickup, and Bean Bags Chairs. 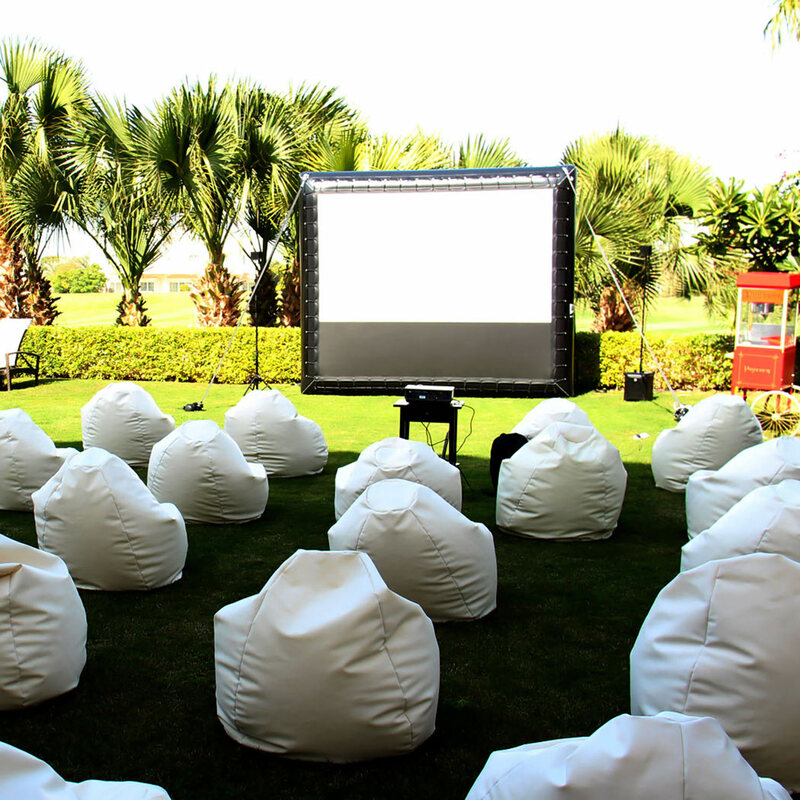 For a larger party add more bean bags. 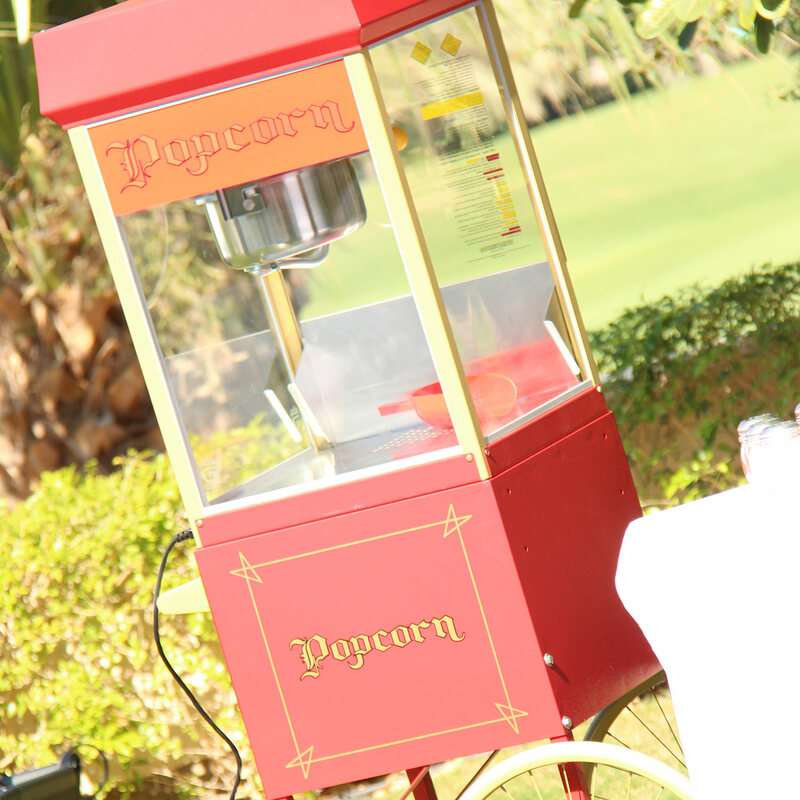 Optional attendant for 3 hours and a selection of items to bring your party together.